Grim is a 2 year old male. He spent first half of his life locked away in a house. One day he saw his chance and ran off with another dog from that house, his friend Sofija. It was believed that they had gotten lost when they were found by rescuers but it is more likely they simply did not want to go back. In this country dogs are viewed as vermin and suffer the some of the worst cases of abuse you can imagine. Whether they were victims of abuse was unknown at this stage, and they were returned back to their owner as the streets really is not a place to be for any stray. Especially as dog killing for some was a business and so it was thought better they are safe in their home than on the street. However it was later found out that the owner did not care for the dogs what so ever, and the abuse certainly was prevalent. 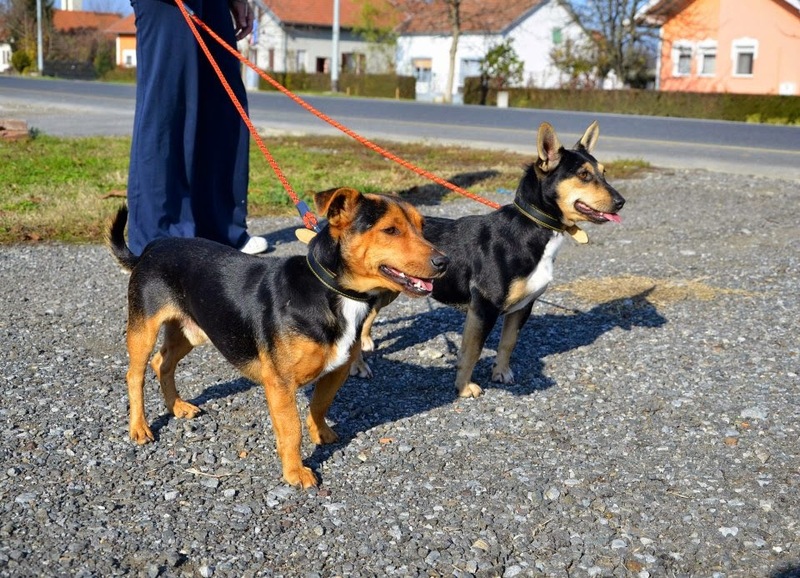 When Grim and Sofia one day had enough of the abuse and for the first time stood up to their owner and growled back at him when he had cornered them and was beating them both with a bat, the owner decided he did not want dogs that one day may retaliate against his abuse and he dumped them back on the streets. The pair had no where to go, had no idea how to survive outside and the temperatures were now below zero. Grim and Sofia were found again by rescuers but this time not as healthy as before. Grim was badly wounded, Sofia was nearby and both were trembling with fear. They had obviously been the target of a pack of dogs that would reside in the area they were dumped in. This happens a lot in Croatia as the street dogs are literally fighting starvation every day and will fight to the death for a scrap of food. New dogs entering into that area are putting their lives on the line. This is what we believe happened with these two poor dogs. 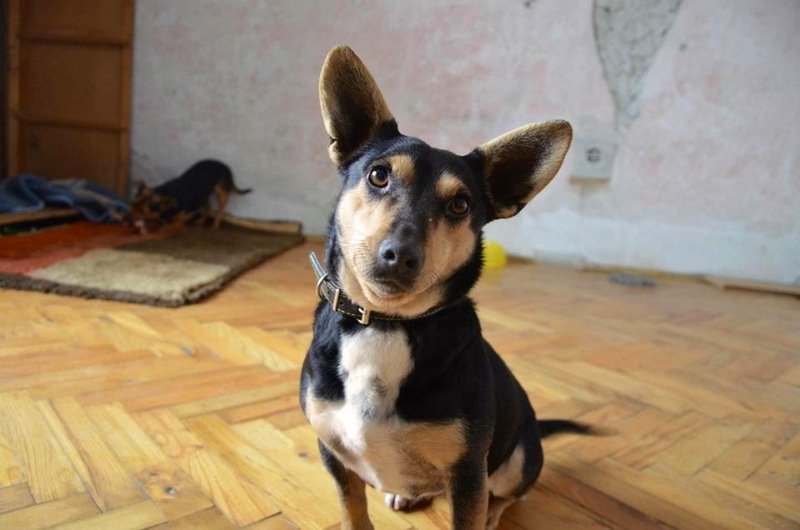 Grims' injuries were so bad that he was unable to walk for almost 2 months, as foster place is scarce in this country he was found an abandoned house where rescuers took him food and cared for him there. He was so miserable and felt so sorry for himself they brought him his friend Sofia to maybe give him the strength to carry on. 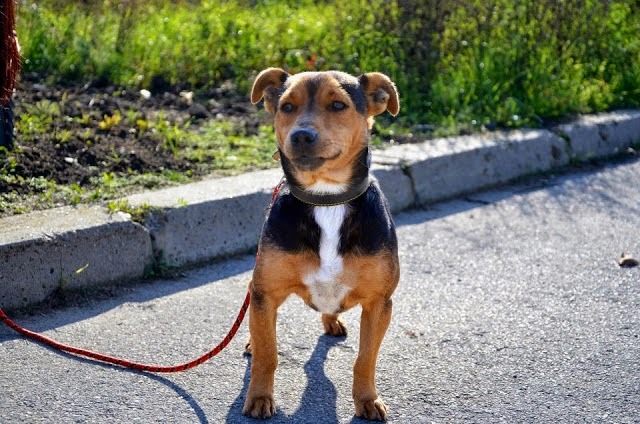 Grims' lucky break came when a lovely lady in the UK offered him a home. He settled straight away and showed how much love and affection he has and what a lovely soul he is. He has been with her for 4 months now but sadly due to personal reasons she cannot keep him. She is deeply saddened by this but wants to do what is best for Grim. As a result of his past life Grim does continue to have problems with one of his back legs and does need controlled and balanced exercise. He will also require monitoring by a vet as occasionally inflammation can occur causing discomfort. Reports from his current vet will be available to be sent to his new vet in regards to past treatments given. Grim is a very peaceful well mannered little dog , he gets along very well with other friendly dogs like himself and adores human company. However because he is a German hunting dog breed we advise against him being re-homed where there are cats or other small mammals.